Backed with huge industry experience and market understanding, we are involved in providing a wide variety of Air Ventilator for our valued patrons. We bring forth for our clients an extensive assortment of high qualityStainless Steel Ventilators. These steel vents are manufactured by our experts at our state-of- art manufacturing unit, utilizing superior quality basic material. 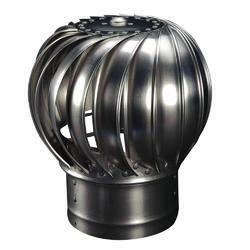 Offered steel vents are used in industries, where humidity, dust, fume and smoke produce. Patrons can avail these steel vents at affordable prices. We are ranked amongst the most trusted firms deeply engaged in offering a wide range of Turbo Air Ventilator Fan. - Sharda engineerings are in the industrial ventilation field, designing, manufacturing and marketing the sharda engineerings roof ventilation and industrial louvers. - We provide all size of design and all size rate is different . 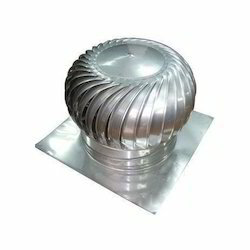 With immense market knowledge, we have been able to provide optimum quality Industrial Air Ventilator. Offering a wide range of Steel Section Ventilators and Industrial Air Ventilators according to the need of the Client. We have set the standards in the segment and are setting mile stones as we expand and offer greater products for our clients, who will never have to worry about quality ever again.